Contact Harding & Co Westward Ho! 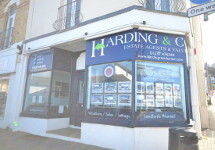 We are the only estate agency with an office operating in this highly popular seaside village, and we are situated in a prime central position, on the corner of Youngaton Rd & Nelson Rd. This office is normally manned on a Tuesday, Friday and Saturday 10.00am to 2.00pm. We are closed bank holidays and Sundays, although viewings can usually be arranged outside opening hours by contacting our main office in Bideford 01237 476544 or outside normal office hours 07594 363683 / 07765 907093. During the months of December & January, this office is manned on a Saturday only. The team at Westward Ho!